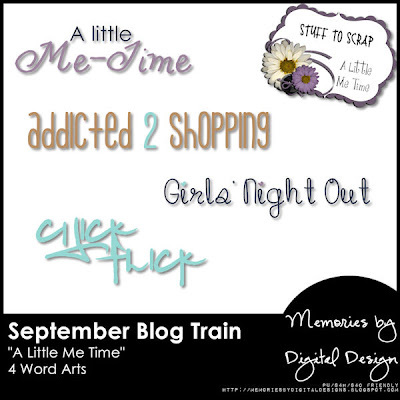 The Stuff to Scrap (STS) family of designers & members has a girly new blog train for you this month. Go to all blogs and collect all the parts. It will give you one mega-kit!! I decided to keep it simple and give you 4 word arts. Hope you enjoy them! Thank you so much for this post. I want to let you know that I posted a link to your blog in CBH Digital Scrapbooking Freebies, under the Page 9 post on Sep. 01, 2011. Thanks again. Thank you for the word art, always handy to have.